is a semi-automatic insertion machine for radial, axial, and multi-leaded through-hole electronic components for PCB assembly. that cuts and clinches the component leads automatically as they are inserted. The CS-400E Cut & Clinch Inserter went into production in 1993…20 years ago! Yet, there isn’t a single used equipment broker that could tell you the what the differences are with each revision level (currently at revision“Y”) or whether or not the machine they are offering has had any of the many major retrofits/upgrades that have been implemented over the last two decades. A remanufactured CS-400E machine from Versatec guarantees your machine is the absolute latest technology available and is a virtually new machine at a fraction of the cost. See how our remanufacturing process differs from the “refurbished” machines available elsewhere. If you own a CS-400C or CS-400D Cut & Clinch Insertion machine and your business is relying on the performance and longevity of these products then you must read this very important message. These products are at the end of their life cycle and spare parts are becoming increasingly difficult to obtain every day. Some parts are no longer available from the manufacturer and may already out of stock here at Versatec. A simple mechanical failure on a “C” or “D” model machine could be catastrophic to your daily production requirements and the bottom line of your business. 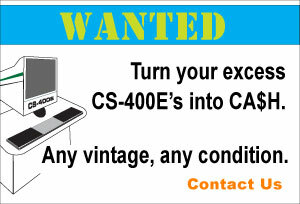 We have plenty of drivers for your CS-400Es! Versatec continues to provide world class service and support for all of your Contact Systems machines. 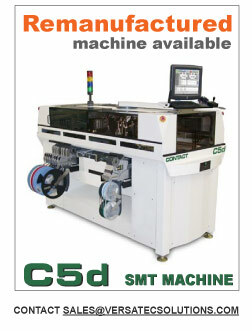 The CS-400E machine is still considered a current product. 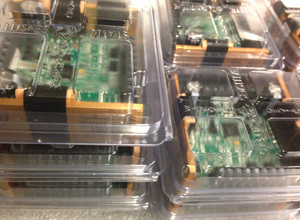 What this means is we still have ample supplies of spare parts (including the IM-483 drivers - over 100 pcs in stock!). Versatec still does sustaining engineering for all of the current Contact Systems machines including your CS-400E. So in the event that a component becomes obsolete we will engineer the OEM solution as we have done many times in the past. Do not stray from OEM approved retrofits or your machine may not be serviceable. In addition to ample supplies of new spare parts we also have an extensive inventory of used and reconditioned spare parts. If your CS-400E machine has the original 430T drivers, for example, we have over 50 pieces and counting of used (and tested as good) 430T drivers available as a cost effective option to retrofitting the latest drivers. Contact Versatec for pricing and availability for all of your Contact Systems spare parts requirements.